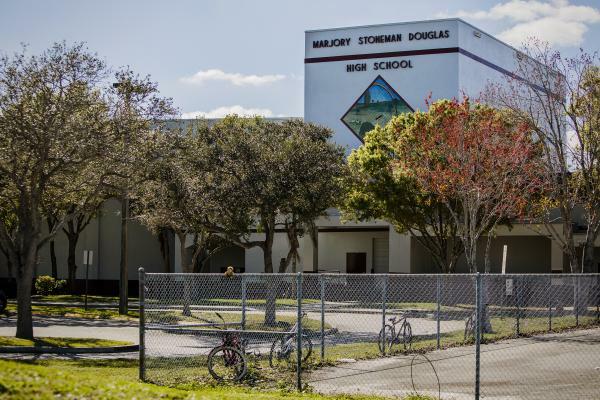 In the immediate aftermath of the mass shooting that killed 17 people at Marjory Stoneman Douglas High School in Parkland, Fla., a year ago, 71 percent of Americans said laws covering the sale of firearms should be stricter. Now, it's 51 percent. When it comes to whether stricter gun legislation should be an immediate priority for Congress, 42 percent say it should be. In April 2018, it was 10 points higher. Still, a solid majority — 59 percent — say their first reaction when hearing about mass shootings is that the country needs stricter gun laws. Only a quarter say their first thought is that more people need to carry a gun. And 53 percent of Americans are concerned that a mass shooting could happen at a school in their community. Women are far more concerned than men (63 percent versus 43 percent) about that possibility. "Not surprisingly, the results show that the outcry against gun violence has lessened from what it was immediately following the shooting at Parkland," said Lee Miringoff, director of the Marist College Institute for Public Opinion. "Yet, there is a strong consensus that gun violence is a serious problem and action needs to be taken." There are also big partisan, racial and age divides. Republicans are less likely than Democrats to support gun restrictions, support for which has decreased over the past three decades; nonwhites are more likely to be affected by gun violence and more likely to want gun restrictions to be an immediate priority for Congress; and two-thirds of people 18 to 29 would rather control gun violence than protect gun rights. 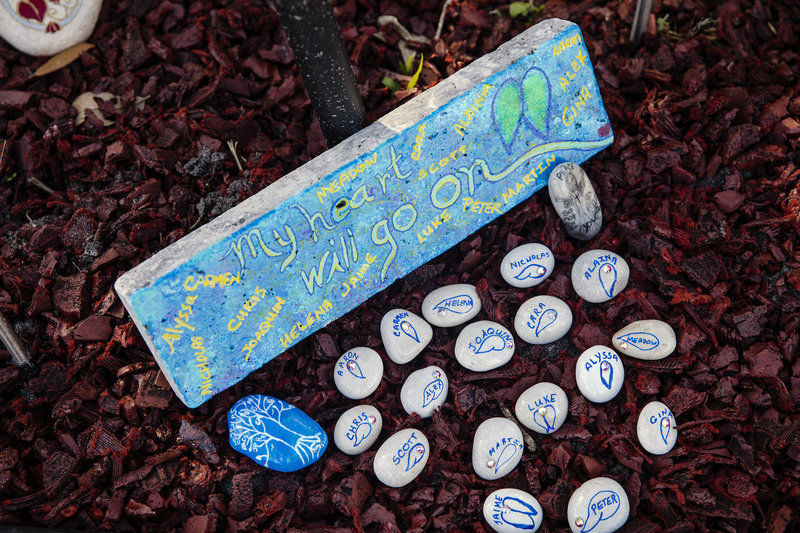 A memorial garden for the 17 people who were killed at Marjory Stoneman Douglas High School in 2018. When it comes to whether stricter gun legislation should be an immediate priority for Congress, 42 percent say it should be. In April 2018, it was 10 points higher. Since 1990, the number of people saying they support gun restrictions has decreased. In this poll, 51 percent said the laws covering the sale of guns should be stricter, while 36 percent think they should be kept the same. But that's far lower than 1990, for example, when violent crime was higher, 78 percent said they were in favor of increased restrictions, Gallup found. And there is a huge partisan divide on this question — 80 percent of Democrats and 53 percent of independents think gun laws need to be stricter, while 59 percent of Republicans think they need to be kept as they are. A big reason for the decline in support for gun restrictions and the increase in partisanship is the National Rifle Association, the most powerful pro-gun lobby in the country. "There's been a change in the message from the NRA [since 1990], from guns not just being something used for recreation, but their change and their move to guns being one [a message] of protection," said Barbara Carvalho, director of the Marist Poll. Because urgency for action peaks right after a tragedy, the NRA routinely stays quiet in the immediate aftermath, waits and then goes on offense. A week after the Parkland shooting, NRA chief Wayne LaPierre went to the Conservative Political Action Conference, or CPAC, and called for "hardened" schools. In other words, adding teachers and resource officers armed with guns to schools. Just hours after LaPierre made his remarks, President Trump echoed that language, seemingly reading right from the NRA script. "We have to harden our schools, not soften them," Trump said then. Despite the NRA's efforts, Americans are still broadly in favor of various gun restrictions the organization has lobbied against. According to the poll, while Americans favor employing school resource officers or armed guards in schools (72 percent said it would make a difference), arming teachers was the least popular (39 percent) in a list of policy options to reduce gun violence. The list included requiring background checks at gun shows or private sales (82 percent); requiring mental health checks (79 percent); banning high-capacity ammunition clips (65 percent); creating a national database to track all gun sales (64 percent); and banning the sale of semi-automatic assault-style weapons (60 percent). Many of those are measures Democrats have pushed, but the NRA is firmly against and Republican elected officials have opposed. But Republicans are overwhelmingly supportive of some of these measures – 70 percent think requiring background checks would help and 74 percent think the same of mental health checks. Americans have a mixed view of the NRA with 42 percent having a favorable opinion of it and an equal 42 percent with an unfavorable one, according to the poll. Among gun owners, 62 percent have a favorable view of the organization, while 24 percent do not. The NRA struggled in the months following the Parkland shooting. It reported a revenue drop of $55 million. Executives cut budgets. And its streaming TV arm, NRATV, was hit with layoffs. But there's some evidence that opposition to the NRA may be softening some. In March 2018, 40 percent said they were more likely to support a brand or company that had cut ties with the NRA. That's down to 31 percent now. Thirty-seven percent of Americans say they are less likely to support a brand or company that has cut ties with the NRA, the same percentage as in March 2018, according to the survey. An NRATV host was critical of the Parkland students and parents speaking out and calling for new gun restrictions. But Americans overall have a pretty positive view of the students — 58 percent have a favorable impression of them. Nearly two-thirds of Americans also believe the Parkland students are having at least some impact on gun reform. Nonwhites are also 15 points more likely than whites to live in fear of a shooting in their community schools (39 percent to 24 percent). And they are twice as likely to express a great deal of concern about the possibility of a mass shooting at a school in their community (28 to 13 percent). Nonwhites are also 17 points more likely to have either been or know someone who has been threatened with a gun or been the victim of a shooting (48 to 31 percent). Perhaps not surprisingly then, nonwhites are far more likely to urge immediate action on enacting gun restrictions (53 percent versus 35 percent). There are also political divides, especially when it comes to the importance of the Second Amendment compared to other key constitutional protections — 58 percent of the country says it is just as important as other constitutional rights, such as freedom of speech, freedom of religion or freedom of the press. But while 74 percent of Republicans think so, 56 percent of Democrats do not. The survey of 880 adults was conducted from Feb. 5 through Feb. 11 by The Marist Poll for NPR and the PBS NewsHour. Results for all Americans have a margin of error of +/- 3.9 percentage points. There were 722 registered voters surveyed. Where they are referenced, there is a margin of error of +/- 4.3 percentage points. There were 314 gun owners surveyed. Where they are referenced, there is a margin of error of +/- 6.5 percentage points.